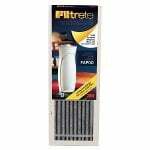 NOTE: The 3M Filtrete Air Purifier - Ultra Quiet - FAP00-RS is no longer available. 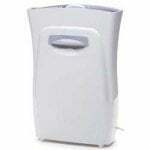 Please see our complete line of other similar items for a suitable replacement. 51 decibels - that's all you'll hear as this 3M Filtrete Air Purifier captures 96% of pollen, mold spores, dust mites, dust, bacteria and virus carrying particles from your air. The 3M Filtrete Ultra Quiet Air Purifier is the most quiet room air cleaner in its class (based on AHAM air purifier group). 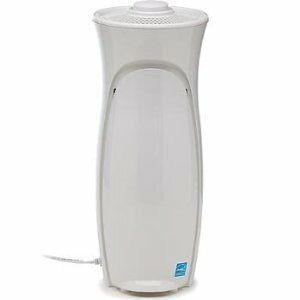 Designed for small rooms, this air purifier is perfect for offices, dorm rooms, nurseries, small bedrooms, or anywhere you want to purify the air without hearing it. This 3M Filtrete Air Purifier also bears the government-backed Energy Star symbol for energy efficiency, meaning it saves energy, saves money and saves the environment. The government requires that an Energy Star air purifier meet efficiency requirements based on how much electricity it uses. Energy Star air purifiers are 44 percent more efficient than standard air cleaners, and will help reduce not only your energy bills, but also greenhouse gas emissions. Approximate Dimensions: 9" x 9" x 21"
Room Dimensions: 10'x10' or 100 sq. ft. 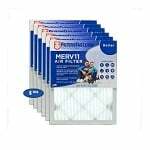 The 3M Filtrete FAPF00 Air Filter should be changed every three months for optimal service. You'll breathe easy and sleep even easier while this Ultra Quiet Air Purifier quietly cleans your air.